This villa is near the village by car or by bicycle by a country lane. 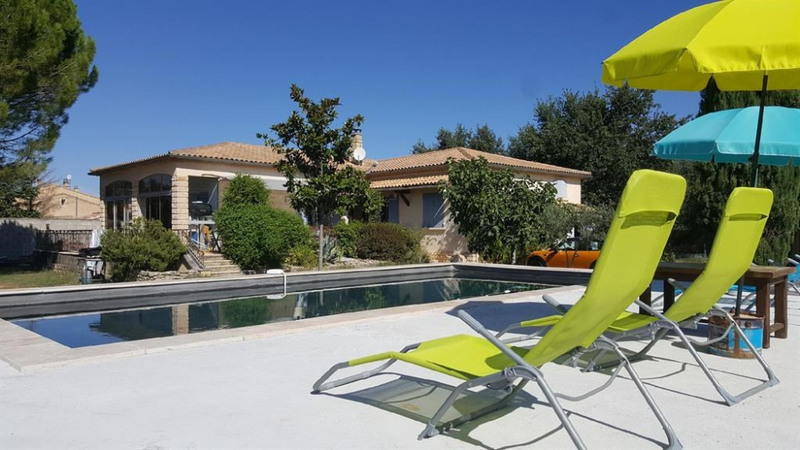 The rental is 10 minutes from Carpentras train station and 30 minutes from Avignon. The bathroom is equipped with a bathtub, a shower and a double sink. The garden of 1500 m² is closed and closed by an electric gate. The parking is private. There is a garage to secure the bikes. The 8 × 4 private pool is under construction. It is for this reason that there are no photos. It will be secured by an alarm. Deck chairs and garden furniture are available.